The Pousada Praia da Tartaruga is the only inn that is exactly on the Tartaruga Beach, right in front of the sea. Small, exclusive, the inn has only 10 rooms and each guest receives a personalized treatment. All rooms are equipped with air conditioning, TV, a mini fridge and a wonderful sea view of Búzios. 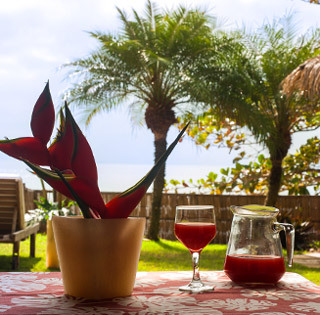 Surrounded by a protected area, the Pousada Praia da Tartaruga is the ideal place for those who love peace and quiet. In the garden, there are sun loungers for sunbathing and plenty of space for the children to play. The inn also offers a steam room and the possibility to book massages. 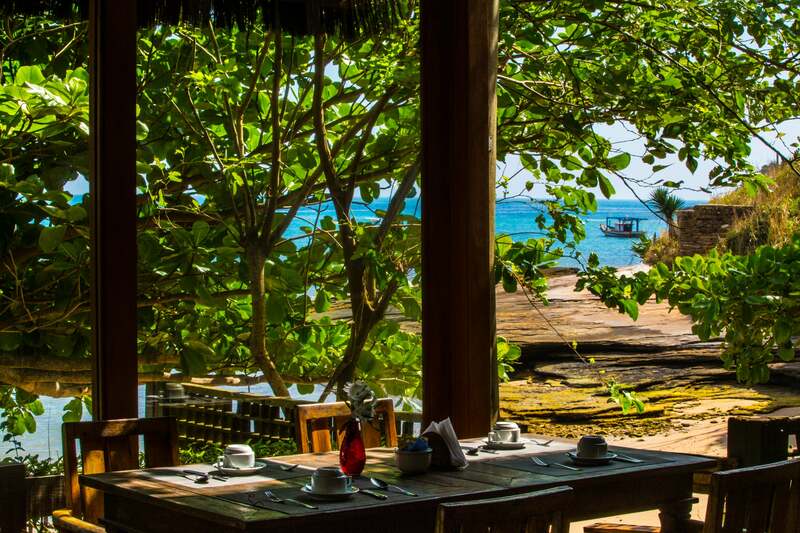 The breakfast can be eaten outdoors, on the sea front. During the day, you can request the restaurant service in the room or at the beach in front of the inn. Well located, it is only a five-minute drive from downtown Búzios and ten minutes from Manguinhos and Geribá beaches. • Rates and conditions subject to change. Contact us for more information. Obs: Possibility of late check-out, depending on availability. of the total value of the stay. by the inn along with the completed guest sheet*. Requests for cancellations must be sent to the email informed by the inn. From 30 days to 07 days before check-in: 50% of the total booking price. 07 days prior to check-in: 100% of the total booking price. No-Show*: Full booking price is charged. the full amount will be charged. The terms “no-show“ refers to the situation when a guest fails to notify a hotel or restaurant when canceling a reservation. Our rooms remain available for 24 hours before we consider it a no-show. After that, the booking will be deemed canceled and the same procedure as that of the cancellation policy above will be carried out. New Year‘s, Carnival and special dates. Special deals during the year are negotiated directly with us by telephone.